A homeless man claims he’s been banned from selling the Big Issue after he refused to appear in a publicity stunt with a local MP. Andrew McGarry, 52, did not want to attend an event with Ben Bradshaw, Labour MP for Exeter. Instead, the well-known magazine vendor – who made the news last year when he started taking cashless payments – boycotted the event in protest at the lack of support given to homeless people. 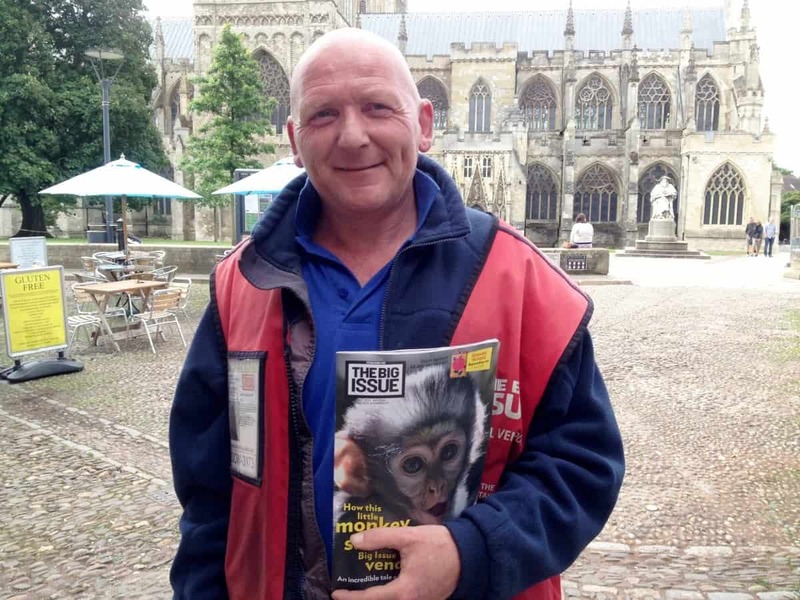 The devastated magazine vendor has now been told he can no longer sell the Big Issue. The homeless man has been backed on social media, with a number of people tweeting their support to him. One supporter tweeted: “How not to do PR: when your friendliest, most well-known and awarded seller makes a stand for something they believe in, stop them from selling, impacting their livelihood. Another tweeted: “Why are you treating one of your best Big Issue vendors in this appalling manner? The Big Issue has defended its decision, claiming Mr McGarry breached the vendor agreement on various occasions this month. But the magazine added it will discuss and review the decision in the future. Beth Thomas, regional manager for Wales and South West at The Big Issue, said: “Along with other local Big Issue vendors, Andrew McGarry was invited to take part in a sell off event in Exeter on August 3 with local MP Ben Bradshaw. Andrew declined to take part. “The sell-off experience was a great opportunity to show Ben, on a small scale, what everyday life selling the magazine on the streets is like for Big Issue vendors. 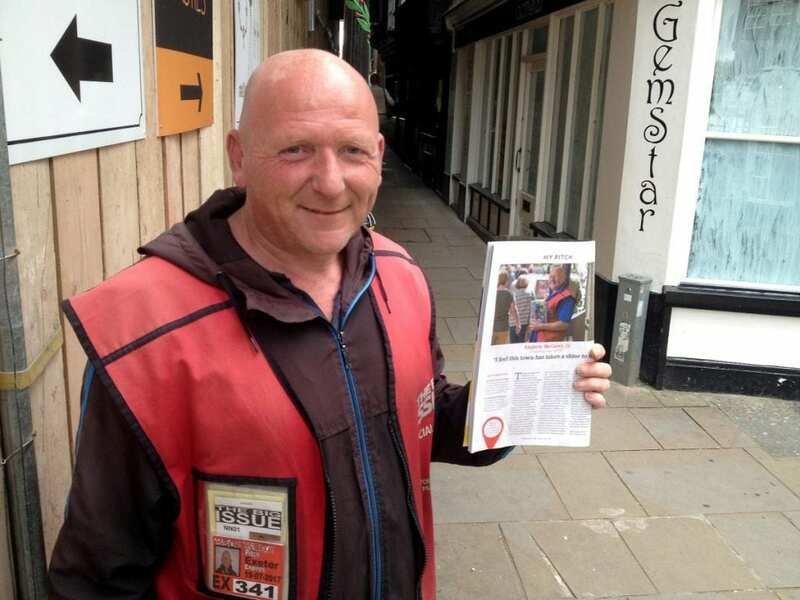 “Following the sell-off taking place, Andrew informed our Distribution Team that he intended to take a week off selling The Big Issue. “Since then, due to various breaches of the Vendor Agreement by Andrew, we have taken the decision that we are no longer able to supply him with the magazine.